Billy Vunipola capped an outstanding display by scoring the decisive try in Saracens' 25-20 derby win over Harlequins in the Premiership. Elsewhere, Danny Cipriani returned to haunt Wasps and Leicester Tigers beat Northampton Saints at Twickenham. 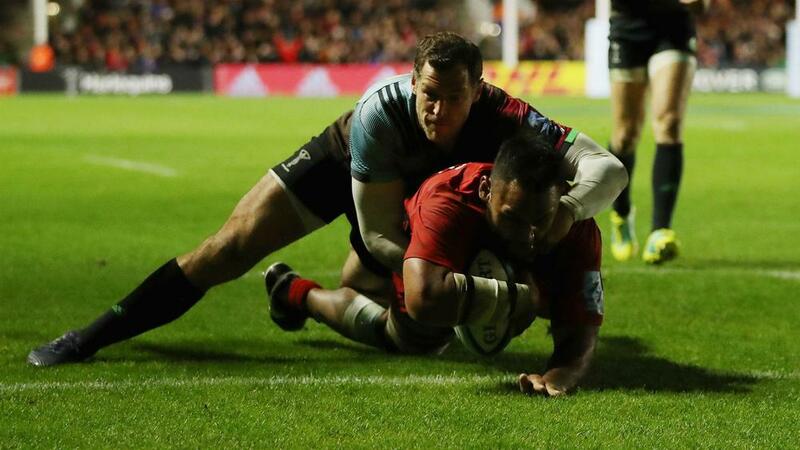 Sarries' 100 per cent Premiership record was under threat at The Stoop, but they made it six wins out of six to go level on points with Exeter Chiefs. Cipriani celebrated being named Premiership player of the month with an influential display on his return to Ricoh Arena, kicking 15 points in Gloucester's 35-21 triumph over his former club. Sale Sharks secured only its second win of the season, beating bottom side Newcastle Falcons 20-7.